A vibrant living and learning environment is the heart and soul of the Rider University experience. Here learning extends far beyond the classroom with opportunities for our students to apply knowledge, build skills, develop as leaders, and work collaboratively in real-world settings. Our commitment to engaged learning begins with our professors—talented writers, thinkers, educators, researchers, artists, and business experts—whose focus is on teaching and mentoring students. It extends to the entire University community, where every member is available to support student goals. Students thrive in our close-knit living and learning environment, where they are encouraged to take their education to another level by becoming actively involved in every aspect of campus life. It’s a dynamic and powerful experience that prepares students for professional and personal success. Rider University has an over 150-year tradition of preparing students for leadership roles in their chosen professions and communities. Our focused hands-on learning encourages students to think critically and communicate clearly. Rider’s location in central New Jersey—just an hour from New York City and Philadelphia—offers great opportunities for exploration, culture, internships, and jobs. Rider draws students from 37 states, three US territories, and 76 countries. Our Lawrenceville Campus enrolls 3,800 undergraduate and 1,000 graduate students. Our Princeton Campus is home to the internationally renowned Westminster Choir College, which enrolls 300 undergraduate and 100 graduate students. 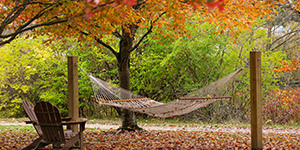 At Rider, students can choose from over 70 undergraduate and 35 graduate programs—everything from Accounting and Music Education to Arts and Entertainment Industries Management and Sports Media—through five colleges: Business Administration; Liberal Arts and Sciences; Education and Human Services; Continuing Studies; and Westminster College of the Arts. Our faculty members are passionate about their disciplines and committed to sharing knowledge with students.They are distinguished authors, educators, scholars, scientists, performing artists, and researchers. Our small collegial classes encourage students to join in discussions, express opinions, and become creative problem solvers. At Rider, students are encouraged to experience learning through impressive professional internships, student-faculty research, co-ops, study abroad programs, and volunteer experiences. 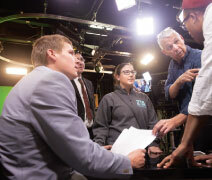 Rider students engage in student-faculty research, perform on stage, and work at the TV station as early as freshman year. Each year, they complete more than 1,000 internships, co-ops, and field placements as part of their degree studies. Our award-winning Model UN program, innovative Global Village class, and a wealth of study abroad and international partnership programs enable students to experience the world in a new way. Each of Rider’s Colleges has a career advisor who specializes in providing the support and preparation needed to move students from their majors to relevant careers. Students begin planning for their future their first semester, using the expert resources of the Career Development and Success Center to create a compelling professional portfolio and résumé. Our graduates have gone on to great success at many of the country’s top-ranked graduate and professional schools. You can read their stories at rider.edu/outcomes. Students benefit from the many advantages of Rider’s private university experience—and Rider’s generous scholarships and financial aid programs focus on making its bottom-line costs extremely competitive with most public colleges and universities. Ninety-nine percent of Rider students receive various forms of financial aid, and 98% receive Rider-funded scholarships and gift aid. The average student assistance package at Rider amounts to $34,500.